Remember my first "Fab Finds" post where I was all hopped up on those turquoise pumps, which are almost definitely a dyeable companion to a bad 80's bridesmaid dress? Well I put them to use shortly after glorifying that steal of a mesh bag in this post. Here they are in all their splendor, paired with what can almost certainly be described as my favorite dress that I have ever owned (in my adult life.) Am I an adult? The DETAILS: Everything is vintage! 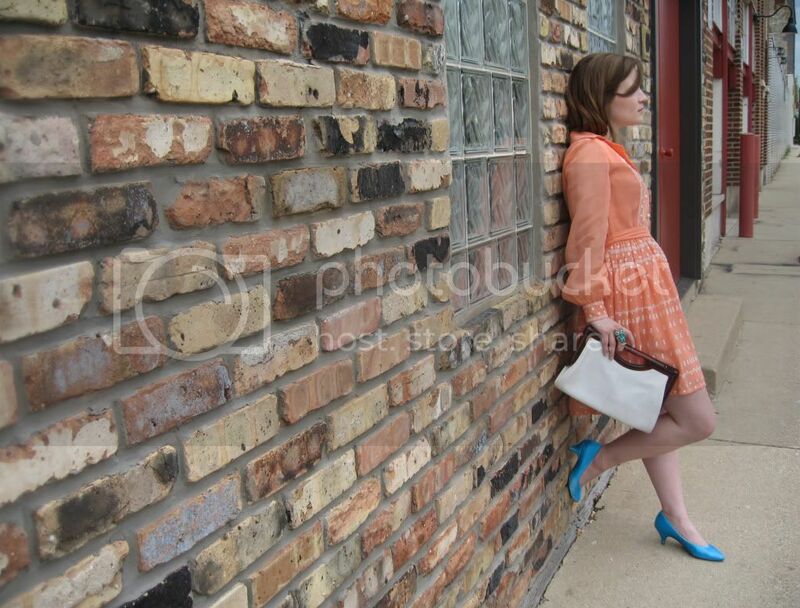 If this dress isn't the epitome of vintage charm and cuteness, I don't know what is. Once again, the sleeves are amazingly poofy, and the button front and collar give it the lines needed to avoid being swallowed into cutesy, girly oblivion. And the embroidery, oh the embroidery! 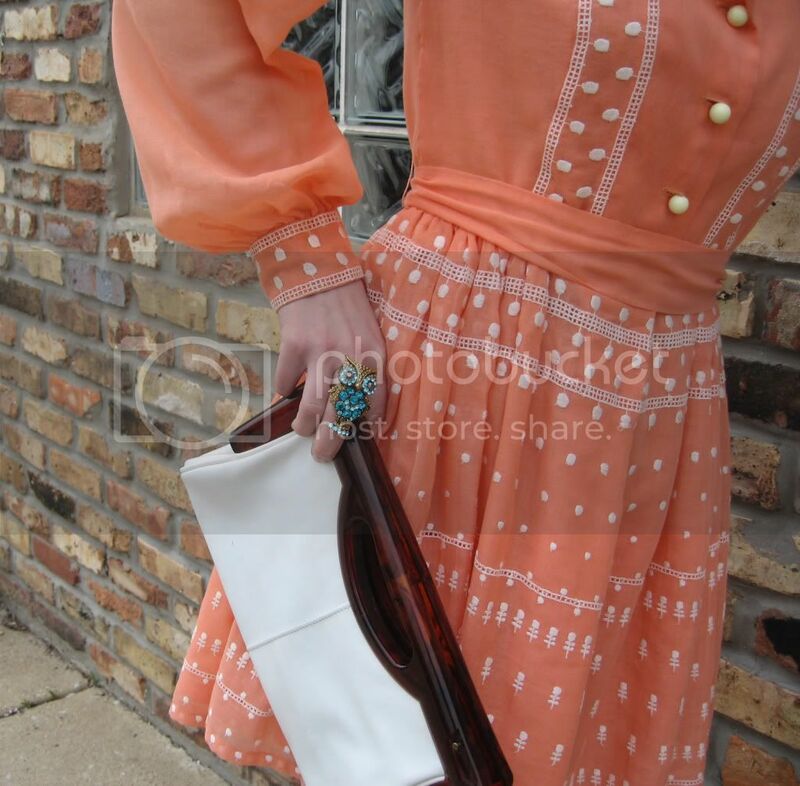 Having an all-vintage outfit can be kind of a no-no, but I think it works here with the peach/turquoise color combination, timeless clutch, and the massive cocktail ring that is very "right now." 5 years later and I'm still in love with this dress. Now, where can I put its fabulousness to use this summer...besides a warehouse rendezvous?